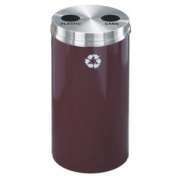 What kind of recycling bins look good in an office? 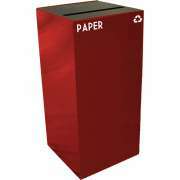 Hertz Furniture has many attractive recycle bins with professional designs that will seamlessly blend in with office furniture. With so many great options in lots of different sizes, you don’t have to compromise on style to have an environmentally friendly company. 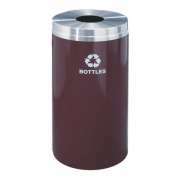 There are many good places to put an indoor recycling container. Wherever there is a big public area in which people eat and drink, it is helpful to have one on hand. 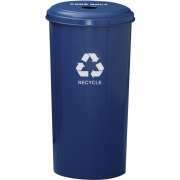 Whether in the school hallway, office common room or reception area, people are much more likely to go green if a recycle bin is close by. How can I encourage students to recycle? 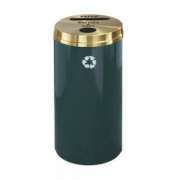 It’s not hard to be green at school when you encourage students to dispose of waste properly with great recycling bins. 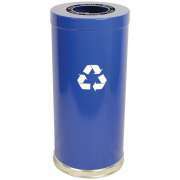 Your eco-friendly company can encourage all employees and clients to participate in efforts to conserve the environment when there are conveniently-located recycling cans throughout the facilities. 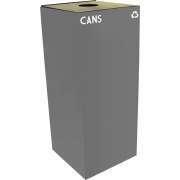 Whether you are furnishing a professional or educational institution, the right cans can go a long way. There is nothing more annoying and tedious for student volunteers or cleaning staff than having to sort through materials that were placed in inappropriate waste receptacles. 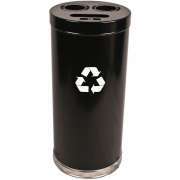 In order to avoid mix-ups, you can order recycle bins with different tops which make it clear what each is for. They can all be lined up in a row to make it easy for people to find the right container. Alternatively, if you do not anticipate such high volumes of materials, you can also get one container with multiple openings for different materials. 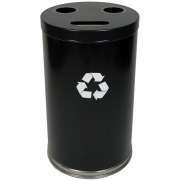 Where is the best place for indoor recycling bins? 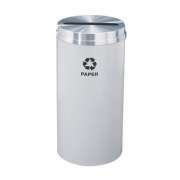 There are many places you can put an indoor recycle bin. Ideally, it should be in a highly-visible place so people will notice that you have one. Public eating areas such as a cafeteria, student lounge, break room and teachers’ room are all appropriate locations. If you are furnishing a school, you might also want to put one or two in the hallway. 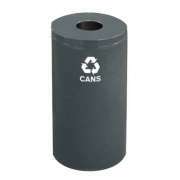 What is the best way to organize recycled materials? Hertz Furniture cares about the environment, as well as the physical appearance of your space. 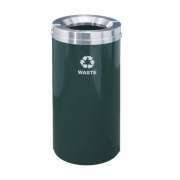 We offer great waste disposal solutions for any venue that are designed to make it easier to stay green and stay clean. 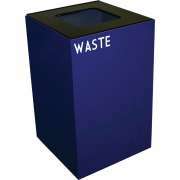 When you furnish a space with the proper indoor recycling bins you demonstrate the importance of cleaning up and protecting the environment.